One day after being in Detroit and two days after being in Baltimore, the Yankees are in Toronto to begin a quick two-game series with the Blue Jays later tonight. Three cities and two countries in three days is no fun. The bullpen was leaned on heavily in the first game, as CC Sabathia was limited to just 4.1 IP in his first start back from the disabled list, and they responded brilliantly. Chad Green, Dellin Betances, David Robertson, and Aroldis Chapman combined for the following line – 4.2 IP, 2 H, 1 R, 2 BB, 8 K.
The Yankees had one of their best innings of the year in the bottom of the 6th of game three, plating seven runs and sending twelve batters to the plate. And they scored those 7 runs without hitting a home run, to boot. Miguel Andujar capped the series off by going 4-for-4 with 2 doubles, raising his season line to .308/.327/.596. He went 7-for-12 in the series as a whole. Check out Katie’s Yankeemetrics post for more interesting tidbits. Josh Donaldson, Steve Pearce, Marcus Stroman, and Troy Tulowitzki are all on the disabled list, and none will be back for this series. Toronto is 26-33 with a -27 run differential, but that may paint an overly optimistic portrait of the team as-is. The Blue Jays were 12-5 with a +38 run differential when they started their last series against the Yankees, and they’ve been rubbish since. They’ve had injuries aplenty, Roberto Osuna was placed on administrative leave while he awaits a trial for assault, and Russell Martin has made starts at third, short, and left as the team scrambles to trot out a starting lineup everyday. To put things into context, their offense is the strongest aspect of the team right now, and they rank 18th in baseball in wRC+. Meanwhile, fans of all ages and loyalties are waiting for wunderkind Vladimir Guerrero Jr. to get his call to the show. 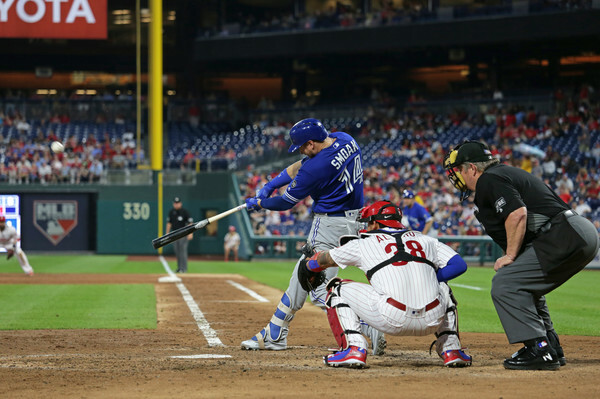 A sense of normalcy has settled over the Blue Jays lineup to some extent, excepting for Donaldson returning to the disabled list. Manager Jay Gibbons utilizes a platoon at the top of the lineup, but everything else is fairly straightforward. Curtis Granderson (.219/.352/.380, 4 HR, 1 SB) will probably get the start in left and bat leadoff against Sonny Gray. Estrada has struggled mightily thus far, pitching to a 5.68 ERA (5.21 FIP) through 11 starts. He’s allowed at least 4 runs in 7 of those starts, and his strikeout (16.5%) and groundball (26.0%) rates are the worst of his career. At 34-years-old one has to wonder if this is the beginning (or the middle) of the end. Gaviglio has been something of a godsend for the Blue Jays, stepping into the rotation when Stroman went down and performing admirably through three starts (17.1 IP, 16 H, 3 BB, 16 K, 3.63 ERA). He’s primarily a sinker/slider guy, with his high-80s sinker and mid-80s slider accounting for upwards of 75% of his offerings in a given game. There’s not a ton of separation his stuff, as his little used change-up comes in in the mid-80s, so he’s all about deception and weak contact. The absence of Osuna hasn’t doomed the Blue Jays thus far. In fact, the bullpen has been quite good on the whole, utilizing a closer by committee approach with Tyler Clippard (yes, that Tyler Clippard – he has a 3.41 ERA and 9.9 K/9), Ryan Tepera (3.14 ERA, 10.0 K/9), and Seung-Hwan Oh (3.12 ERA, 9.7 K/9) picking up the slack. Aaron Loup (3.22 ERA) and John Axford (3.33 ERA) have been good, too. They don’t have a true shutdown reliever out there right now, but it’s not quite quantity over quality, either. It would be pretty great if Vladimir Guerrero Jr. was called-up today or tomorrow, but that’s almost certainly not happening; I’m nevertheless already all-in for the Torres vs. Guerrero storylines. Other than that, the most exciting thing about the Blue Jays right now is either Kevin Pillar’s defense, or wondering what position Russell Martin will end up at next. Didi Gregorius thoroughly enjoyed hitting against the Orioles staff, going 4-for-10 with two doubles, a home run, two steals, and six walks (against just one strikeout). 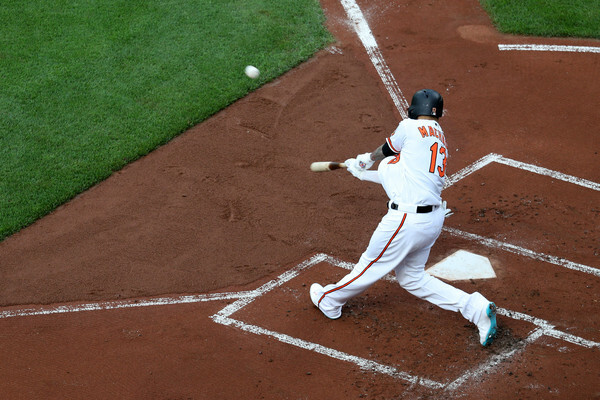 Manny Machado showed what he is capable of in Yankee Stadium – perhaps a sign of things to come over 81 games next year – going 7-for-19 with a double and two home runs. Aaron Judge robbed a home run, and it was glorious. It seems akin to a distant memory or a fever dream, but Jace Peterson made two starts in left for the Yankees, and acquitted himself fairly well in going 3-for-9 with a walk. Why do I bring this up? Because Peterson was picked up by the Orioles after being cut loose by the Yankees, and he’s receiving fairly regular playing time. Baltimore is banged-up, with two position players (Tim Beckham and Colby Rasmus), a starter (Chris Tillman), and their top-two relievers (Zach Britton and Darren O’Day) on the disabled list. 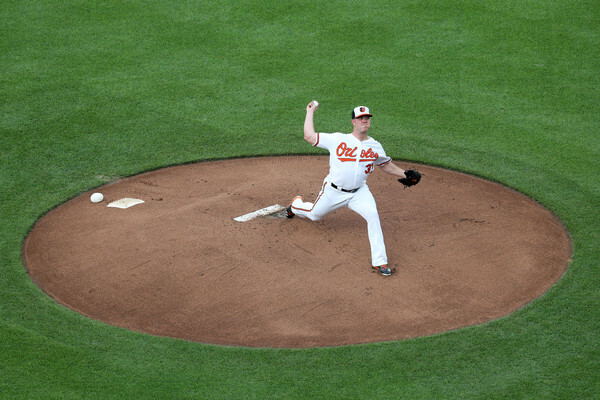 None of them are expected to return for this series, though it is worth noting that Britton and Tillman have resumed throwing, so a surprise return isn’t out of the question. The Orioles are 17-39 with a -88 run differential, both of which represent the second-worst marks in baseball. They’ve lost five in a row by a combined score of 24-6, and this represents their fifth five-plus game skid of 2018. They’re 27th in the majors in runs allowed, 29th in runs scored, and 30th in defensive runs saved, so they’re not particularly good (or even passable) at anything right now. Of course, that didn’t stop them from taking three of four from the Yankees eight weeks ago, so anything is possible. I poked fun at Cashner the last time these teams met, and, of course, he ended up shutting down the Yankees for six innings (6 IP, 2 H, 1 R, 3 BB, 5 K). He followed that up with an even better outing against the Blue Jays (7 IP, 4 H, 0 R, 3 BB, 6 K), and you could squint hard enough to see a repeat of his 2017 unfolding. Regression struck quickly, though, and opposing batters have hit .324/.401/.553 against Cashner in his last eight starts, over which time he’s posted a 6.17 ERA. That’s more like it. Gausman has seemingly settled in as a league-average starter in his age-27, pitching to a 4.31 ERA (97 ERA+) and 4.43 FIP in 11 starts. He now has a perfectly average 100 ERA+ in his career, and a slightly above-average 96 FIP-. That might not be what you want from a 4th overall pick, but it’s not bad – especially for a team that has had severe issues with developing starting pitching. And Gausman did look pretty good against the Yankees earlier this year, holding them to 2 runs in 5 innings on April 6. Cobb’s season started about two weeks late, the result of him waiting to sign until March 20. The early returns haven’t been pretty, as he’s pitched to a 6.80 ERA (62 ERA+) in nine starts, and has yet to find any semblance of a groove. He has provided the Orioles with a bit of length, though, finishing six innings four times and pitching into the sixth another time, and he does have a track record of success in the AL East. Cobb is a three-pitch guy, featuring a low-90s sinker, a mid-80s splitter, and a low-80s curve. He’ll mix in a straight fastball every now and then, but he’ll go full starts without throwing a four-seamer. Buck Showalter’s old school mindset is often on full display with Bundy, who has thrown 100-plus pitching in four starts, and 98 in another two. The 25-year-old has a history of elbow and shoulder issues, but the team will continue to trot him out there until he hits the proverbial wall – and it’s a shame, as it would feel like he was on borrowed time regardless of the pitch count. Bundy has produced strong strikeout (28.3%) and walk (6.8%) rates this year, but his 4.46 ERA is a tick below league-average. Bundy is something close to a five-pitch pitcher. He mostly relies on his low-90s four-seamer, low-80s slider, and mid-70s curve, but he’ll also sprinkle in a low-90s sinker and a mid-80s change-up. His slider is a true swing-and-miss offering, with a 33.2% whiff rate. The Orioles bullpen has settled down into league-average territory after struggling for the first week of the season, and currently sports a 99 ERA+ (18th in the majors) and 0.53 WPA (17th). The problem is that they’re also 29th in shutdown appearances, as they don’t really have a true stud in the group right now. Brad Brach (3.43 ERA) has been solid as the closer, and Richard Bleier’s odd brilliance (2.33 ERA despite an 11.5% strikeout rate) is fun, but the absence of Britton and O’Day has everyone pitching at a slot higher than they probably should be. Though, to be fair, this group isn’t a joke, and it has performed mostly admirably considering the circumstances. I have a soft spot for Dylan Bundy, as I followed his ups and downs as a prospect closely, and I always enjoy seeing a player come back from potentially career-ending circumstances. And, as always, Manny Machado is worth the price of admission. The Yankees pitchers were on-point throughout the series, holding the Angels to just five runs in 28 innings. And, surprisingly, the worst start of the series belonged to Luis Severino, who allowed three runs in seven innings. The fact that that represented the worst outing of the series speaks volumes, doesn’t it? Game two was a tremendous all-around effort for the Yankees, as the aforementioned 11-1 victory was a perfect example of a team firing on all cylinders. Everyone in the starting lineup reached base at least once, with six players reaching base at least twice. And they scored 11 runs despite hitting zero home runs, which still feels like an impossibility. The pitchers were great, too, with Tanaka tossing 6 innings of one-run ball (and striking out 9), and the bullpen closing it out with three scoreless frames. Mike Trout hit .250/.455/.250 in the series, and that feels noteworthy. Pitchers Alex Meyer, J.C. Ramirez, Matt Shoemaker, and Blake Wood are still on the disabled list, and they’ve been joined by reliever Keynan Middleton and catcher Rene Rivera. None will be back in time for this series. The Angels are 28-22 with a +27 run differential, good for third place in the AL West. They’ve won three of their last four, but that came on the heels of dropping five straight – and that’s emblematic of their season as a whole. They’ve been up and down since jump, and their injury-riddled bullpen certainly hasn’t helped matters. Shohei Ohtani has continued to be a revelation on both sides of the ball, boasting a .319/.385/.606 (170 wRC+) slash line in 104 PA, and a 3.35 ERA (124 ERA+) in 40.1 IP. The sample sizes are small, to be sure – but I don’t think anyone expected him to be this good at either aspect of the game right away, let alone both. Unfortunately (or fortunately, if you worry about how Yankees bats will hit him), Ohtani’s would-be start on Sunday was pushed back for “workload management,” so we won’t get to see him pitch against the good guys this year … barring a playoff match-up, of course. The Yankees struggled to square-up Heaney back in April, with the southpaw pitching to the following line: 5.0 IP, 5 H, 2 R, 1 BB, 9 K. And he’s been even better since then, pitching to a 1.38 ERA in his next four starts. The Angels don’t have any high-end pitching prospects, so this is likely to be filled by an up-and-down guy like Jaime Barria. Richards was awful against the Yankees last month, exiting in the second inning after allowing nine runs (five earned) and 8 baserunners in 1.2 IP. He has a 2.52 ERA in his other nine starts this year, so that probably shouldn’t the expectation for Sunday. Then again, the Yankees have tuned him up for a .271/.336/.531 slash line in six games, so they might just have his number. Even with all of the injuries, the Angels bullpen has a surprising amount of depth. Jose Alvarez, Blake Parker, Jose Alvarez, and Noe Ramirez are their top four relievers in terms of innings pitched, and all are at least a tick above-average in terms of run prevention. They lack a true light’s out type with Keynan Middleton on the DL and Cam Bedrosian struggling, but they have a few solid options out there. I’m interested to see what Ohtani can do in Yankee Stadium. 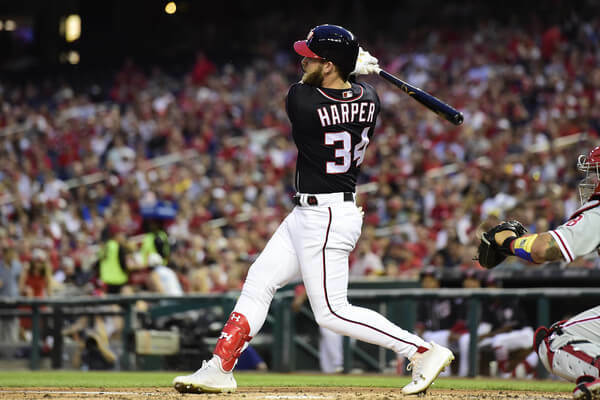 He’s not a dead pull hitter or anything like that – his pull percentage is actually a tick below league-average – but he’s still a left-handed hitter with big-time pop. I’m also curious to see how fans will respond to Ohtani, due to both his semi-shunning of the organization, and the curious timing of him being skipped in the rotation. The homestand concludes this weekend with three games against the Oakland Athletics as the Yankees finally escape their run of consecutive games against first or second place teams. The Yankees entered the series with a 2 game lead in the AL East, and by the time it was over they were tied for first. They’d only spend one more day as the uncontested first-place team for the remainder of the season. Starting pitching was the issue this time around. Jordan Montgomery, Luis Severino, Masahiro Tanaka, and Luis Cessa all allowed at least four earned runs, pitching to a combined 7.78 ERA in 19.2 IP. The bullpen’s 4.5o ERA in 14 IP is positively stellar in comparison. A’s third baseman Matt Chapman made his big-league debut in the first game of the series (a game started by Sonny Gray), and started all four games. He went 3-for-14 with a double, two walks, and seven strikeouts. 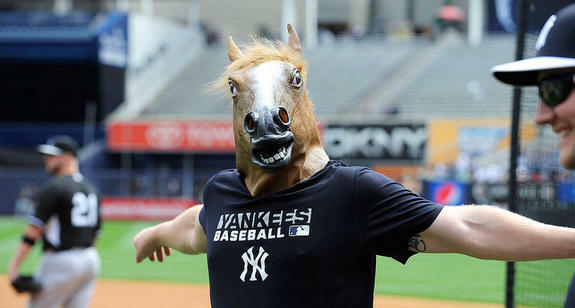 Check out Katie’s Yankeemetrics post for more maddening tidbits on the series. Oakland has a slew of pitchers on the disabled list right now, including starting pitchers Trevor Cahill and Jharel Cotton, and relievers Ryan Buchter and Liam Hendriks. Cahill is the only one that is expected to be back somewhat soon, but he will not be available for this series. Outfielder Boog Powell is out, as well. The A’s are currently fourth in the AL West at 18-19 with a -16 run differential, and that’s probably a little bit better than you’d expect – particularly with all of the injuries to their already thin pitching staff. And they’ve done it in the least exciting way possible: by being right around league-average in everything. Their offense (101 wRC+), pitching (103 ERA-), and defense (-2.2 UZR/150) are all within a rounding error of average, and almost all of their players are within a similar margin. Though, to be fair, their offense has hit .269/.339/.519 in high-leverage situations, which translates to a third-best in the majors 128 wRC+. And the bullpen’s 16 meltdowns is also bested by only five teams. Put those together and you have a pretty good formula for winning close games. 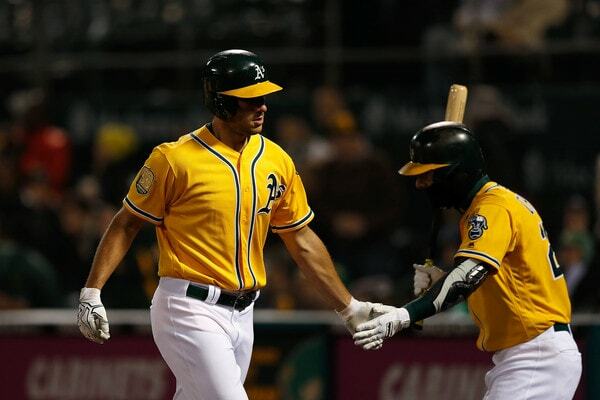 It is worth noting that they A’s have had three compelling storylines so far this year, too. Sean Manaea no-hit the Red Sox on April 21, which is terrific. Former Yankee prospect Dustin Fowler made his return to the field after last year’s catastrophic knee injury the other night, which is also wonderful. And, in sadder news, Stephen Piscotty lost his mother to Lou Gehrig’s Disease on Sunday; the A’s crowd and players and the opposing Astros gave him a standing ovation when he returned on Tuesday, in a very touching moment. And he ripped a single the other way. Even in death, baseball can touch you. Dustin Fowler, who came off the bench on Wednesday, will probably slot into the lineup in some capacity. The A’s have suggested that their goal is to make him the starter at some point, for what it’s worth. Super-utility player Chad Pinder (.279/.323/.492, 3 HR, 0 SB), who has seen time at 2B, 3B, and all three OF positions this year, will almost certainly get a start or two somewhere, as well. A few days ago, Graveman was scheduled for a Friday start against the Colorado Springs Sky Sox – Milwaukee’s Triple-A affiliate. An injury to Trevor Cahill left the A’s a starter short, though, so he will instead face the Yankees lineup in Yankee Stadium. That can’t be fun for anyone, let alone a guy that had an 8.89 ERA (6.02 FIP) in 28.1 IP prior to being demoted to Triple-A in the first place. Graveman was basically a league-average starter in his first three seasons in Oakland, pitching to a 4.11 ERA (99 ERA+) in 407 IP, so he’s probably not this bad. Graveman is a four-pitch guy, featuring a low-to-mid 90s sinker, a low-90s cutter, a mid-80s change-up, and a low-80s curve. None of the pitchers are swing-and-miss offerings, but he does boast a career 51.5% groundball rate. Triggs is another league-average-ish guy, with a 4.32 ERA (97 ERA+) in 156.1 IP in the bigs. He was a waiver-wire pick-up for the A’s in 2016, which makes him a steal as a league-average pitcher – but he could be more than that. Triggs has solid peripherals across the board, including a 21.1% strikeout rate, 6.6% walk rate, and 50.5% groundball rate with the team, all of which hint at a bit more goodness beneath the surface. Triggs is something of a junkballer, utilizing a low-90s fastball, low-90s sinker, low-80s change, low-80s slider, and mid-70s curve. He locates all of his offerings well, though, and all of them have a bit more wiggle than you’d expect. It almost feels like Anderson was a Yankee at some point, given how much writers and fans have talked about him as a buy-low candidate at various times. 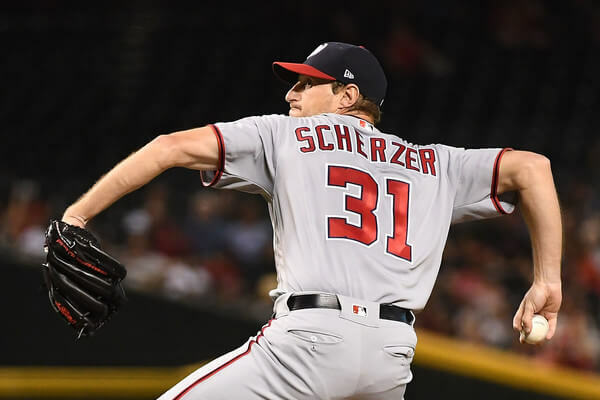 He was a rock-solid mid-rotation starter in his two full seasons, which is what lends hope that there’s more there – but he’s also a 30-year-old pitcher that averaged just 16 appearances per season in his first nine years due to a variety of injuries. He also has a 7.46 ERA since the beginning of 2016 … but that’s in a small sample size of just 76 IP. It’s a shame. Anderson uses five pitches – a low-90s four-seamer, a low-90s sinker, a low-80s change, a low-80s slider, and a mid-70s curve. The A’s have a very top-heavy bullpen, with closer Blake Treinen (1.13 ERA), Ryan Dull (2.35 ERA), Santiago Casilla (2.40 ERA), and Lou Trivino (a totally not made-up pitcher with a 0.75 ERA in 12 IP) locking down the late innings. The rest of the relief innings, however, tend to go to Yusmeiro Petit (4.66 ERA), Danny Coulombe (5.93 ERA), and Chris Hatcher (6.55 ERA), which isn’t great. 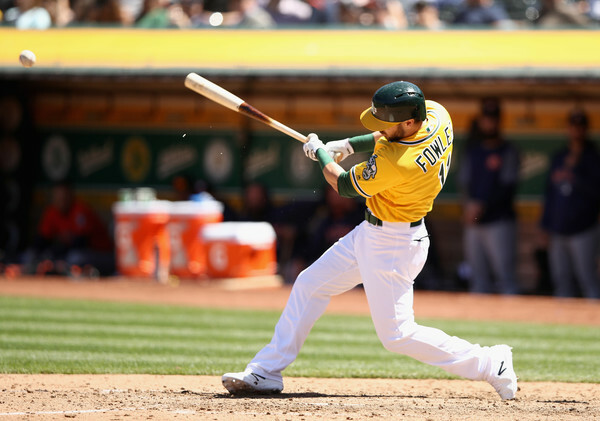 Dustin Fowler was dealt to the A’s (alongside James Kaprelian and Jorge Mateo) in last summer’s deadline deal for Sonny Gray. He was a back-end top-100 prospect heading into this year, and it’s difficult not to root for him given his ignominious debut last season. Mateo, by the way, is hitting .184/.223/.289 at Triple-A, and Kaprielian has yet to pitch this year as he rehabs from Tommy John surgery. I’m hoping the Yankees crowd gives Fowler a big-time ovation if and when he plays – he certainly deserves it. I’m also intrigued to see what he can do now that he’s fully healthy. If you’re looking for non-ex-Yankee to watch, Chapman is an excellent defender at the hot corner.